The demand for custom is high. Why? We think it's because people know exactly what they want and aren't willing to settle for something that isn't a fit for their home. We've created a niche building custom table and lighting in our Connecticut workshop and shipping them all over the country. Whether it's a custom color, custom stain, custom size or custom design, we have you covered. Want to see some pieces we've been working on? Just look below. See something you like? Just email me at duchy at dunesandduchess dot com for a quote. Custom color base with a custom marble top and floor base. Matte black top with a fumed oak base. A custom turning to get it just the right height. 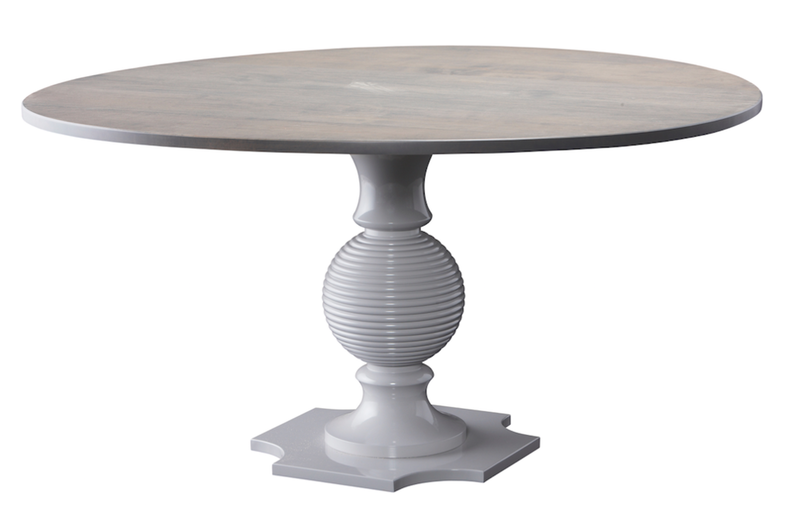 A Swedish Gray base complements the gray washed top. 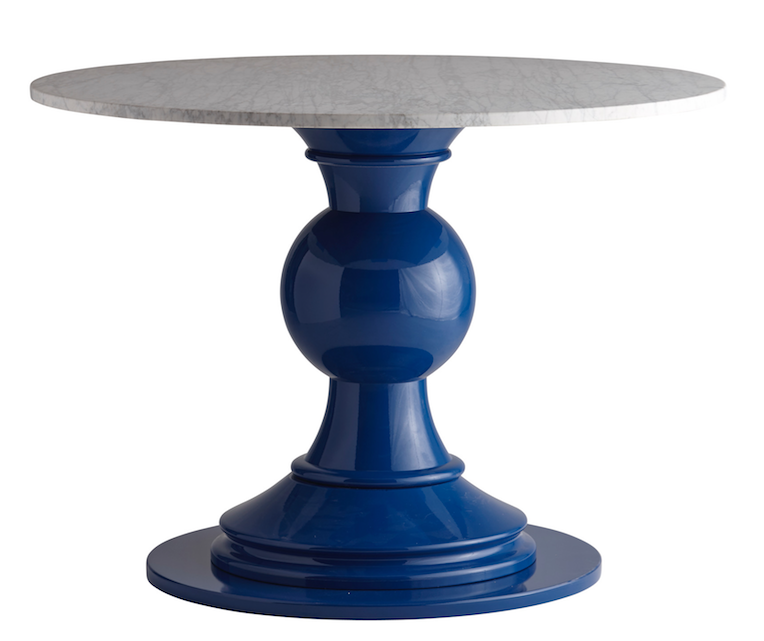 A custom turquoise base with added feet topped with white lacquer. You asked, we made. In a custom diameter. Did you know you can request nickel or brass? Of course you can customize your etagere. Choose classic or tiki spindles. Whatever size you want. A pair in a custom one tier style. So good! Special green leather straps for a special client. Luggage racks come in any color, stain or limed oak.